Mortgage brokers can scour the market for you, looking for the right deal to suit your situation. They are also particularly useful if you are in an unusual position. Who can benefit from using a mortgage broker? What are the advantages of having one on my side? Some are tied to specific mortgage lenders, meaning they will only recommend their mortgages. Other brokers recommend from a limited selection of lenders. Misleadingly, they can still claim to be “whole market brokers” as long as their selection is representative of the market. This means you might miss out on great deals. Be aware too that you might miss out on some deals because some mortgage lenders do not offer any mortgages through brokers. This includes HSBC and FirstDirect, and others like ING Direct only offer mortgages through certain brokers. Ask for explicit confirmation of which lenders are included and which are excluded by your broker. Ideally avoid all brokers that charge fees to you and instead opt for those that charge the mortgage companies. At some point in the process your mortgage broker will offer you contents and buildings insurance too. By all means get a quote, but be aware they will get a commission for selling these products which you may end up paying for. Protect your hard earned cash and shop around to see if you can find the right policy at a better price. Have a read of our guide on home insurance. 1. Research mortgages so you understand the basic types and the differences between each. Our guides on types of mortgages and mortgages made simple are a good place to start or if you need a quick refresher. If this is your first mortgage, see our guide on steps to getting your first mortgage or if you are remortgaging, you may also find our remortgaging made easy guide helpful. 3. Go to a fee-free mortgage broker and ask what they recommend. We’ve teamed up with London and Country, the UK’s leading fee-free mortgage broker. See here for more details. Tell them if you have already found a good deal, as they may be able to improve on the offer. If so, you may save thousands and, if not, you haven’t lost anything. 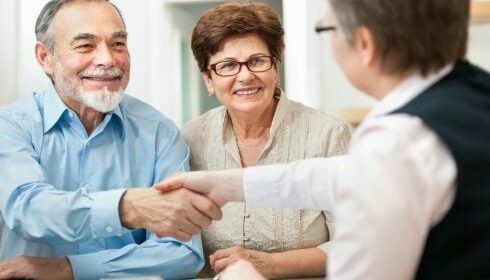 The broker should give you an “Initial Disclosure Document” that tells you about the service they can provide, whether they can recommend all the mortgages in the market, a limited selection or just one lender’s products; whether they will give you advice or not; and what they’ll charge you for the service. The broker will ask you all about your financial history and current circumstances. Be prepared to provide a variety of evidence of this. They will also talk to you about your monthly outgoings and how much you think you can afford. Do ask them all and any questions you have. Should I get a mortgage through my estate agent? Also be aware there have been accusations of mortgage brokers and estate agents working closely together, openly discussing potential buyers’ budgets in order to get as much money out of the buyer as possible. We therefore recommend finding out what deal they can offer while remembering that you are under no obligation to accept their mortgage offers – in fact, it is illegal for them to require you to do that. If you believe you have been given poor advice, the first step is to complain, in writing, to the lender, financial adviser, or broker. If they do not resolve your complaint satisfactorily within eight weeks, you can take your complaint to the Financial Ombudsman Service.